Our goal at Charles Joseph Associates is to streamline development projects through positive negotiation and creative solutions to expedite your project approval. We have a very successful track record with managing high quality "win win" project approvals for many Fortune 100 and Fortune 500 Companies for over 25 years. For those projects that need a high level of technical expertise and skills, Charles Joseph Associates is the right choice for your company! Through our experience, commitment and expertise, Charles Joseph Associates has established a business relationship with our Clients that will last a lifetime! “I don’t want to spoil a perfect record of attendance, Your doing such a good job that I’m afraid of showing up.You really have done a very good job, I thought I was the only person in the world qualified to do this kind of work, you proved me wrong!!!! Founded in 1994 by Chuck Buquet, Charles Joseph Associates is backed with 27 years of industry experience. Charles "Chuck" Buquet is President of Charles Joseph Associates, a corporation that provides management services for both the public and private sector. Charles Joseph Associates has performed services for a number of Fortune 100 and Fortune 500 companies having projects needing the high level of technical expertise Charles Joseph Associates can provide. 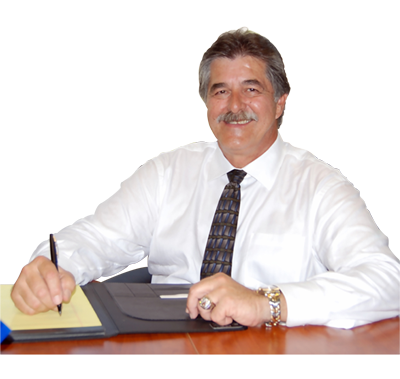 In addition, Chuck has over 20 years of risk management experience. He has also performed elected community service for over 12 years as Mayor Pro Tem and City Council Member for the City of Rancho Cucamonga, his home for over 43 years. Chuck has served as a guest speaker and panelist at various workshops and seminars which have included presentations for many county, state and municipal associations. He also holds a Certificate of Specialization in Risk Management from University of California, Riverside; and as a registered Safety Administrator with the National Safety Council. Through our commitment, experience, and expertise Charles Joseph Associates has established a business relationship with our Clients that will last a lifetime! See our testimonials for more information.